Hey, everyone! I’ve got a beauty post for you today! Summer has just been wreaking havoc on my hair. Between the trips to the pool and the days in the sun, I have totally dried out my fine hair! It’s unruly and super tangled, so I’ve been involuntarily ripping strands out as I attempt to comb and brush. Thankfully, now I’ve discovered Keranique Hair Regrowth System! My broken and thin hair has been on the mend! And since it is Hair Loss Awareness Month, I thought I’d share my experience! 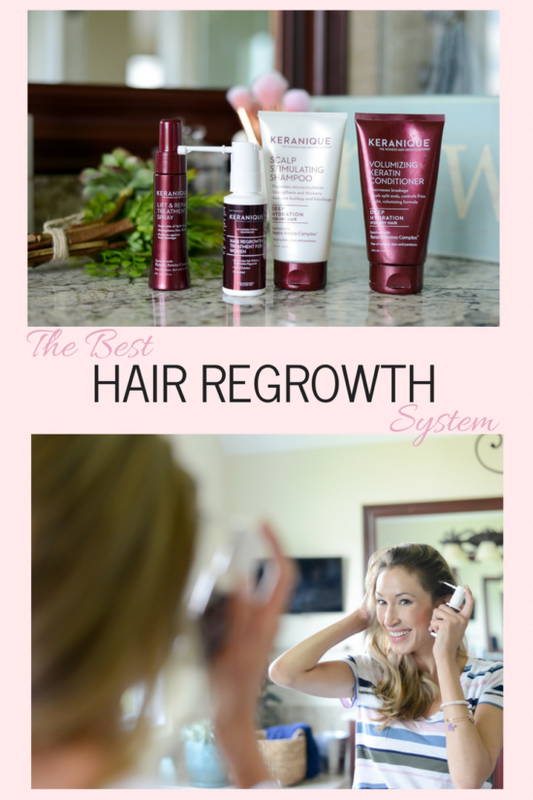 What is Keranique Hair Regrowth System? 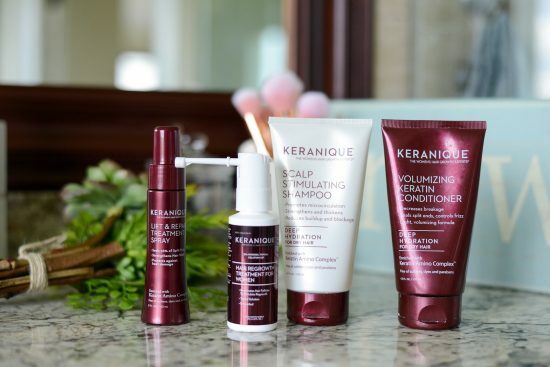 The Keranique Scalp Stimulating Shampoo and Volumizing Keratin Conditioner smell so good! They remind me at the products the assistants wash my hair with at the salon that make me never want to re-wash my hair! So refreshing! They also make my hair feel touchable and soft and easier to manage post-shower. And the biggest component, the Keranique Regrowth Treatment, really seems to have started my hair on a journey to thickness. While I will continue to use the treatment (Its patented Easy Precision Sprayer makes it a breeze to apply to the areas that need it most. ), I already see some major progress. I have some spotty areas around the hairline, and I already see some growth! This is amazing because I wear my hair up a ton, which means that area is on full display. If you are looking for a hair regrowth treatment, you can find it on keranique.com or in Ulta stores nationwide! *Thank you, Keranique, for sponsoring this post. The summer always does a number on my hair too! I’ll have to try this system next time I notice a little extra hair in my hairbrush. Thanks! For sure! Keep it in mind! This sounds like a great, easy to use system. Thanks for sharing your experience with it. It’s extremely easy to use and covers all the bases! I’d like to try this system as well, because I use to dye my hair and I need to have it treated more carefully so that it looks great! This product sounds very promising. It’s great that you have already had a promising outcome. This stuff sounds amazing! 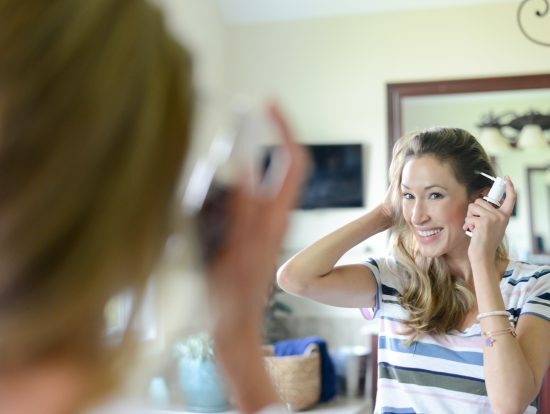 I totally agree with you… Summer is HORRIBLE on my hair, and love that there are products out there like this one that can really help keep your hair healthy and hydrated to prevent damage in the future. Yes! Keeping hair hydrated is key. This product is wonderful! I have some friends that really struggle with thin hair. I am going to share this with them. Oh yes! Thanks for spreading the word!